Home organization is no easy feat to tackle. There are about a million blogs, articles, videos, and books out there telling you how to do it. There are far fewer instructions on the things you shouldn't do to get organized. We think that’s a shame, and so we decided to do something about it. ...Buy a bunch of stuff before you even begin. We get it. Buying stylish boxes, bins, and baskets when you decide to organize your home feels fun and productive. It’s a great motivator! The problem with buying stuff like that ahead of time is you can’t accurately predict where things will fit. In the worst case scenario, you’ll end up with some very nice new boxes you can’t even use. That’s just more junk to organize! Get an idea of what you need to pull off your organization project before you buy anything. Admittedly, it’s less fun, but it’s also the best way to avoid buying something you don’t need. Don’t make new projects for yourself while you’re trying to tackle old ones. ...Try to do it all at once. You will get overwhelmed. When cleaning and organizing, there always comes a point where things look worse before they start to look better. That’s the point where many people find themselves overwhelmed and give up. Working at a reasonable, methodical pace is the best way to avoid that. ...Start organizing without having a game plan first. This one’s important. Never start re-arranging and organizing your stuff without having some notion of your endgame. If you don’t know what your goal is, you’re not organizing; you’re just moving the mess around. Your plan doesn’t have to be complicated. In fact, all you need to start a successful organization project is space for three piles and a few hours. Make one pile for donations, one for things you want to keep, and one for things you’re throwing out. Pick up everything in the room in order and give serious thought to its function, use, and place. Think critically and work systematically. Suddenly, home organization won't seem so overwhelming. ...Set your expectations unrealistically high. Scrolling through pinterest pictures of the “perfect home” is fun, but it can have unfortunate side effects, too. Namely, if you look at those conspicuously spotless places long enough, you might start to think that’s what “normal” looks like. It's not. Remember: every picture or video online was carefully staged, poised, and perfected. None of them represent what a home actually looks like. Don’t drive yourself up a wall trying to recreate something that isn’t real in the first place. Instead, have a vision for what you want your home to look like, and follow through on it. It doesn’t have to be ready for a magazine feature; it just needs to make you happy. ...Forget to utilize all your options. You’re busy, and organizing a whole home takes time. Don’t stress out if you can’t do it all at once or if you need a little help. That’s what we’re here for. 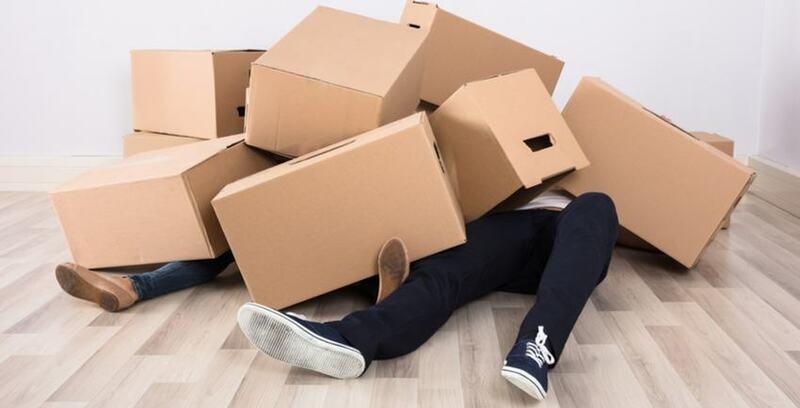 Moving some stuff into storage can help you get the breathing room you need to accomplish some serious organization. Speaking of storage units, Storage Direct has options available for whatever you need. You should get in touch next time you need to do some organizing. Good luck!